In 1883 Gottlieb Hauser founded his Alpina Swiss Watchmakers Corporation, and in doing so united the leading Swiss independent watchmakers who became known as the Alpinists. In 1901, the trademark ‘Alpina’ was registered and appeared for the first time on high-end calibres and watches produced by Gottlieb Hauser. As many other watch brands, the company came in a difficult period in the 1970s when the quartz crisis violently crushed the Swiss watch-industry. 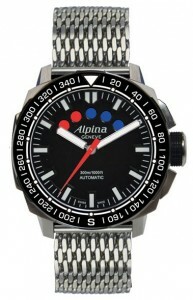 Whereas other major brands got together to form groups (as the Swatch Group), Alpine tried to fight the crisis alone. Unfortunately rather unsuccessful. 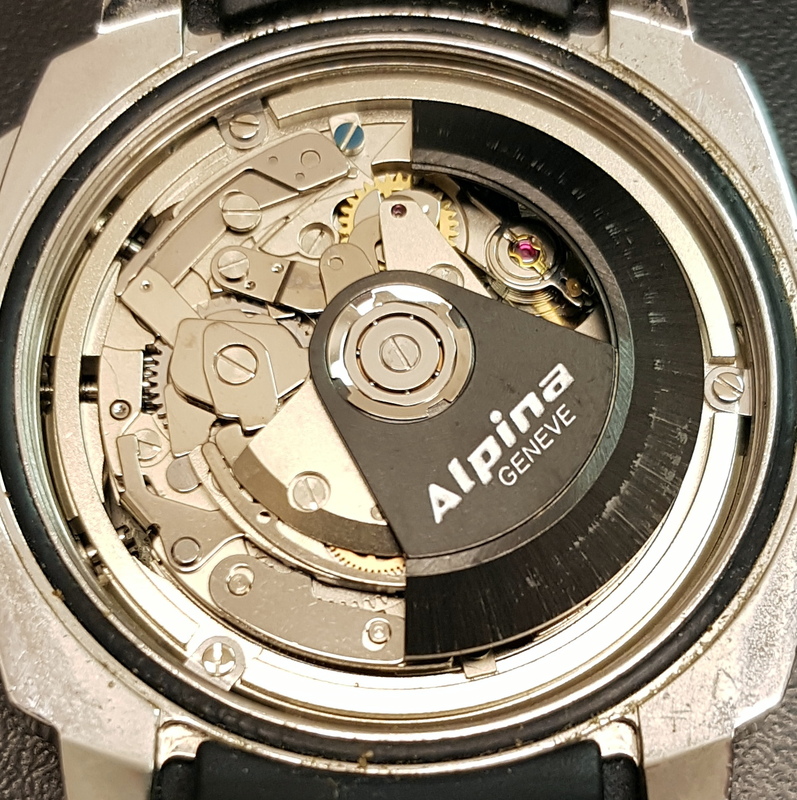 After a purchase of all shares in 1972 by German investors, Alpine Watch International SA was acquired by Frederique Constant with the Dutch Peter Stas as CEO in 2002, and soon after Alpina watches were relaunched worldwide. As of that moment, Alpine again is manufacturing its own movements. And as a sponsor for various regattas, the idea for a new regatta watch was born. But when ETA discontinued the production of the Valjoux movements, as among the 7757, Alpina decided to develop an in-house module for the regatta function. 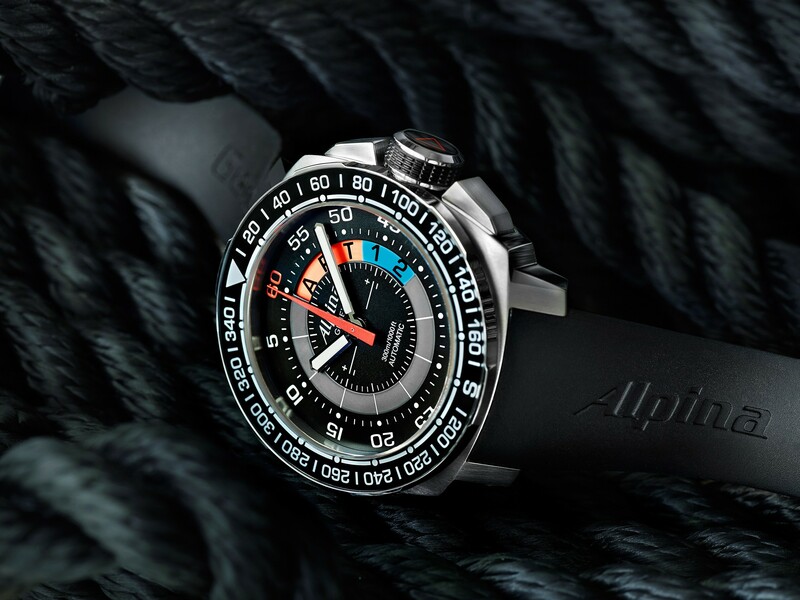 In 2011 Alpina launched the Sailing Collection, starting with the Extreme 40 Sailing Chronograph, co-developed to emphasize the collaboration with the Italian Extreme 40 catamaran Team Niceforyou. 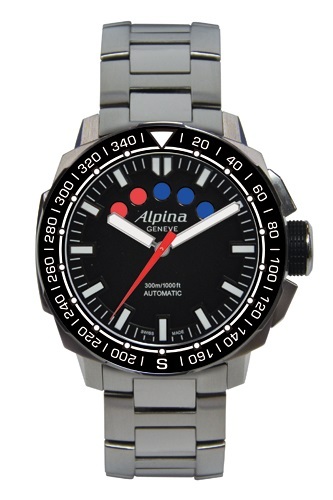 Alpina Extreme 40 Sailing Chronograph, with rubber strap, steel or Milanaise bracelet. Model: Alpina Extreme 40 Sailing Chronograph. Reference: AL-880LB4V6 with black dial and black rubber strap. AL-880LB4V6B with black dial and metal brushed/polished bracelet. AL-880LB4V6B2 with black dial and metal Milanaise (mesh) bracelet. AL-880LS4V6 with white dial and metal brushed/polished bracelet. AL-880LS4V6B2 with white dial and metal Milanaise (mesh) bracelet. Caliber: Alpina automatic AL-880 movement with yachttimer function. Alpina presents each of these new limited edition (just 8,888 pieces will be produced) watches in a specially designed gift box, which also contains a miniature reproduction of the Extreme 40 catamaran! 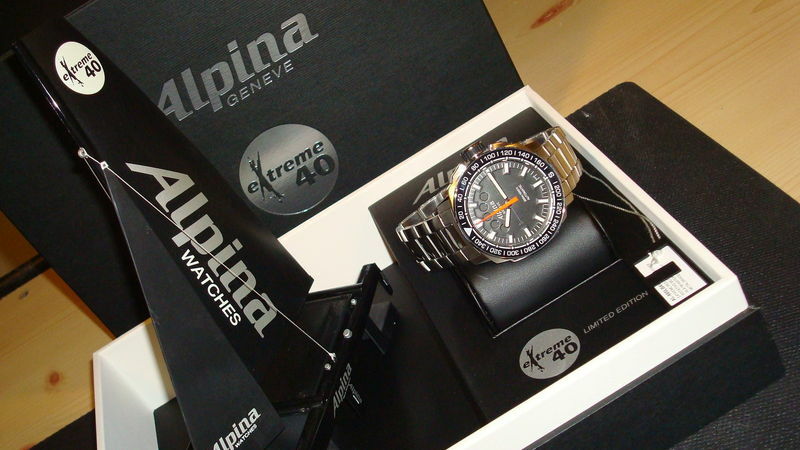 Alpina Extreme 40 Sailing Chronograph with a scale model of the Extreme 40 catamaran. Size: 13,25″ Ø 30 mm / H 7,9 mm. Based on the Sellita SW-500 chronograph, Alpine developed an in-house module, designed to time the 10 minute countdown to the start of a regatta. 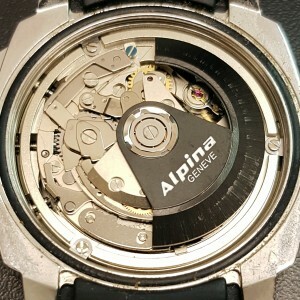 In the event of any interruption to the regatta’s starting time, the AL-880 movement has a feature allowing the countdown to be held and then re-started when appropriate. Although the caliber has no ID number, the production is limited to 8,888 pieces. 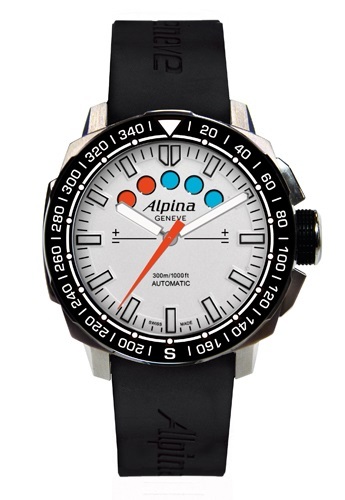 At the start of 2013 Alpina introduces a new model in the Sailing Collection: the Alpina Sailing Yachttimer Countdown. 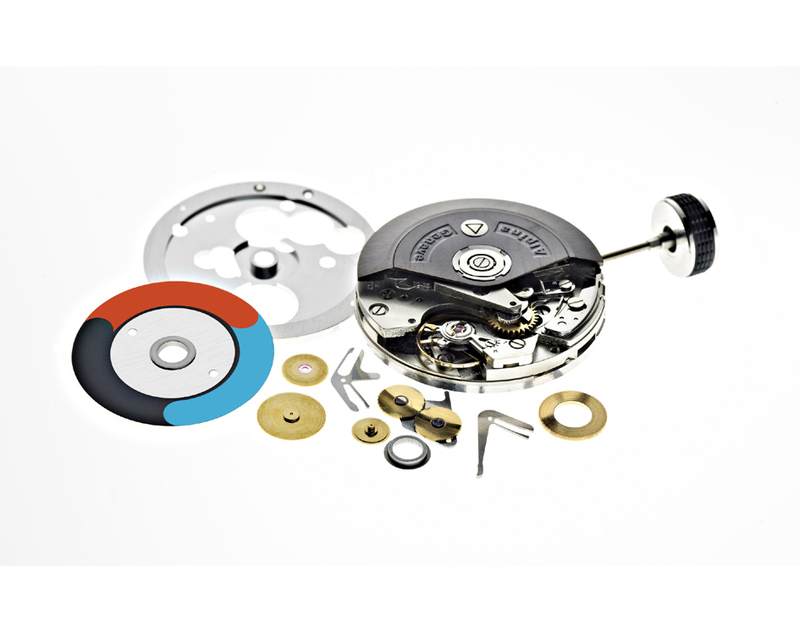 This model has a countdown window from 12 o’clock to 4 o’clock, with the indicator disk changing from 10 to 1 and leading to the fluorescent START indicator. 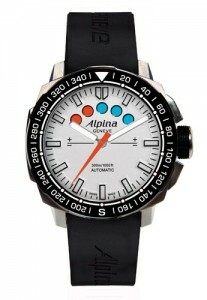 Model: Alpina Sailing Yachttimer Countdown. Reference: AL-880LBG4V6 with black dial and black rubber strap. Many thanks to Yasmina Pedrini of Alpina Watches for your given information per e-mail.